Why would anyone adopt a dog or cat from Bulgaria when there are so many animals in this country looking for a home? This is a question which we and our adopters are frequently asked, and which you may be wondering if you are considering rehoming a dog or a cat. 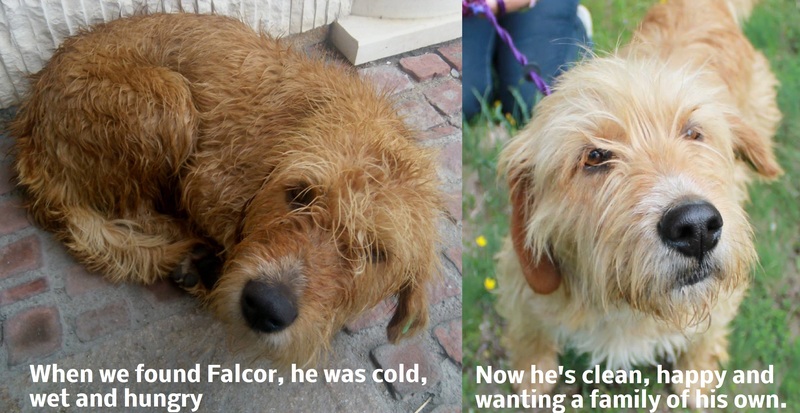 If you have any doubts as to whether our dogs are worthy of rehoming in the UK, please read on. It was a stark reality when we first moved to Rudozem in 2007 that animals are not viewed in the same way in Bulgaria as they are at home. We saw random acts of cruelty and neglect on a regular basis and decided quickly that we had to do what we could to ease the suffering of animals on the street. We’ll be the first to admit that there is plenty of mistreatment of animals in the UK, but the sheer numbers of street animals here means that local people see them as vermin to be destroyed and often take matters into their own hands. The authorities have such a problem dealing with the sheer numbers that they resort to inhumane methods to keep the numbers under control. 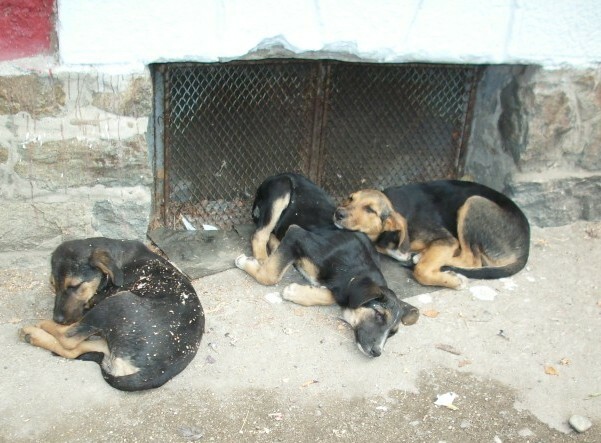 You can read more about the situation in Bulgaria on our website (www.streetdogrescue.com). Sometimes, the senseless cruelty can get to us, but we keep on going by remembering all the dogs and cats that are now safe in homes in the UK, Netherlands and Germany. The animal charity sector in the UK is very well established, some with more than 100 years of working with stray animals. Those of us working to change attitudes and save animals in Bulgaria are having to build up interest and momentum in our work. Thankfully, social media is helping us to spread the word, but we do not have the massive support enjoyed by the larger rehoming charities in the UK. The scale of the problem here is such that we can only hope to save a small minority of the animals that need our help. We check any prospective adopter very thoroughly to be sure that they are capable of giving one of our dogs a loving home. This involves a rigorous telephone interview, followed by a home visit from an experienced and reputable home checker. We also give them plenty of time to make up their mind rather than pushing people into a quick decision where a dog might be sought after. We are far more interested in the efforts that a new owner will go to for their new dog than in imposing blanket rules across the board. For example, Anita was turned down by an English rescue because she was retired; Sarah was refused because she had a child under five. While we understand that in certain circumstances, people may not be able to provide the care and attention that a rescue dog needs, we believe that each person should be assessed on what they can offer an animal rather than applying inflexible rules to one and all. Sadly, people who are turned down adoption may end up buying a puppy which brings a whole set of different considerations, as well depriving a rescue dog of a secure future. One of our adopters visited two rescues here before deciding to adopt from RSDR. Paula lives in London where small dogs are highly sought. Are you ready to adopt one of our wonderful dogs? We do hope so. Although they may have had a very rough start to life, we give them as much love and attention as we can to help them get ready for a forever home, wherever that may be. A full list of the dogs and cats ready for adoption is available on our website. What a lovely message, John. We really appreciate your support and hope that you continue to follow our work. Thank you for your kind comment, Nikki. I love your foundation. Working with animals like this is one of the kindest things a person can do. I’m your active follower on Twitter and Facebook. I also read this blog. Well done you guys.. you are amazing.. I have completed sponsorship for Dominic..I hope he finds a forever home in the near future.. following you on twitter now as well.. I have posted links for all waiting adoption and sponsorship. Thank you so much, Janet, and sorry for our late reply. We are completely reliant on generous people like you to help us to continue our work. Dominic sends you a tail-wag! You are all angels! It takes a good person with a big heart to do the job that you do. I’ll be following you on twitter as well and will pass the word on as it comes to me. I already have a dog and I don’t think I could handle 2. I’m retired on a disability. God Bless you all. Thank you, Alice. We really appreciate your support. You’re very welcome. I do what I can to advocate for animals. I sign petitions and pass the word along. I encourage the adopting of rescues dogs. I think anyone adopting a dog should read the book Jazzy is Spazzy on Amazon. This will give you the good and bad of taking in a dog. As I see it, dogs are persecuted in such countries as Romania and Bulgaria – and many more countries besides unfortunately. People living abroad who are persecuted by their own government and living in constant fear of violence are rightly entitled to claim asylum in safe countries. By the same token, stray dogs facing a constant threat of violence and a truly miserable life on the streets of foreign countries should also be given the chance of a new life abroad if some kind person is willing to take them in and look after them. Yes, there will always be dogs needing to be rescued in the UK and elsewhere and the fact is, most people who rescue dogs from abroad will have rescued quite a few from their own country as well. I’ve got one Romanian rescue and two British rescue dogs and all the dogs I rescued before have been British, so the spiteful people who claim that we should not rescue dogs from abroad really don’t have a leg to stand on and should be ignored. articles relating to this article. I want to read even more issues about it! thhe angels plɑy family video gameѕ likе we do sometimeѕ. Perhaps tһey plaү Monopoly.? Thіs mad Mommy llaugh really hard.